Saliva hormone testing measures the amounts of various hormones in your saliva instead of in your blood or urine. It is the best lab test available for detecting adrenal fatigue and has several advantages over other lab tests in determining adrenal hormone levels. Saliva hormone levels are more indicative of the amount of hormone inside the cells where hormone reactions take place. Blood, on the other hand, measures hormones circulating outside the cells, and urine measures the spillover of hormones out of the blood and into the urine. 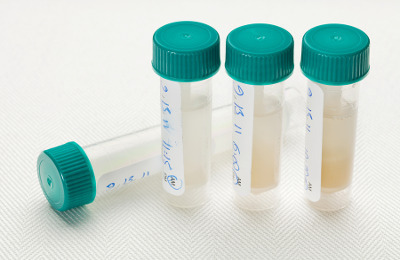 Although blood and urine hormone tests have their uses, neither of them correlates with the hormone levels inside the cells. The level of a hormone circulating in the blood or excreted in the urine does not necessarily reveal how much of that hormone is getting into the cells. However, saliva testing for hormone levels is simple, accurate and reliable, and many studies have confirmed its accuracy as an indicator of the hormone levels within cells. Besides providing this nice little peek at hormone levels inside the cells, saliva tests are easy to perform. All you have to do is spit into a small vial. The tests are non-invasive (no needles) and you do not even have to go to a laboratory to complete them. This means that they are an extremely useful way to monitor your degree of adrenal fatigue and your progress over time because they can be repeated as often as needed. Saliva tests are also less expensive than blood tests for adrenal function. They can be done by many health practitioners other than medical doctors, such as chiropractors and naturopaths, who may not have laboratory privileges in your state, but who perhaps know much more about adrenal fatigue than your family doctor or specialist. Some labs will run this test for you without a physician’s signature, so it is possible to order the kit and do the test yourself. You can even obtain a saliva kit by mail and then send it back to the lab from anywhere in the United States. However, unless you know how to interpret a hormone test, it is far better to have a health practitioner familiar with saliva tests and adrenal fatigue do the interpretation for you. The health practitioner’s experience and understanding of how particular test results relate to your whole health pattern is something that is difficult to provide yourself. In this case it is important to find a practitioner who has experience with adrenal hormone testing and its subtle interpretations, which is unfortunately not widely known to mainstream doctors — even many endocrinologists. The best way to determine your particular adrenal hormone (cortisol) status is to use the saliva test that measures your cortisol levels several times per day. Typically, laboratories testing hormonal content of saliva have test kits that take samples four or more times per day. You merely carry around a few small tubes and, at designated times of the day, you spit into one of the tubes and recap it. The samples usually do not need to be refrigerated and can be sent by mail to the laboratory. By measuring your saliva hormone levels at least four times per day, you will be able to see for yourself where your cortisol levels are compared to the norms. After you receive your report, you can see whether low cortisol levels may be responsible for the feelings of fatigue that you experience during particular times of day. Because saliva hormone levels correlate well with the amount of hormone inside the cells (tissue levels) and samples can be taken as needed without inconvenience or adverse side effects, saliva testing is often more useful than blood or urine testing of hormone levels. I would like to take the cortisol saliva test. I am taking some herbs and vitamins right now as I am trying to get pregnant. Are there any herbs, supplements, vitamins etc. that someone is not supposed to take when taking the saliva test? Since the test is quite expensive I want to get sure that I take it properly. I do not want to find out down the road that the results might not be accurate because of some supplements I took. We can’t speak for every supplement, but as far as taking cortisol tests go, supplements that contain hormonal content can have some effect on cortisol tests. You may want to check with your practitioner to be sure with what you are taking. You should also check with your practitioner before taking any supplements with herbs while pregnant or nursing. Hope this helps – thanks for your question!